If you’ve read my various posts on dealing with datetimes and timezones lately, I discovered a handy little mechanism for dealing with timezones in Microsoft SQL. Over the weekend, I needed to be able to execute a stored procedure from EntityFramework that had a table value parameter (TVP) as an input. I had never worked with TVP’s before. Utilizing them was not obvious to me from either a code-based approach or even directly with T-SQL. Here’s how I accomplished it, though. Earlier today, I needed to be able to retrieve progress indicators from a long-running stored procedure. The procedure itself executed many different queries, so the idea of sending messages to the client between those queries seemed like a good place to start. 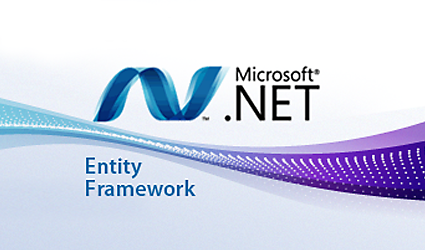 Entity Framework uses the Unit of Work pattern. It’s useful, but it doesn’t quite cover all of the bases. In using a repository pattern, I rely on EF to simply deal with UOW and have not had occasion to go beyond UOW. However, on a recent project, I found that I needed to manage my own transactions. ORMs are awful.. long live ORMS! Recently, I had a conversation with another developer about the role of DBA’s in the development process. It was immediately clear that, philosophically, our viewpoints diverged. The conversation digressed, and I found that this developer was completely against using ORMs to make queries. The term ‘ad-hoc queries’ was bandied about quite a bit. This other developer also went so far as to tell me that, in a code review in ‘hard-core’ dev shops, ad-hoc queries would get smacked down. In my previous post discussing profiling Entity Framework, I alluded to DbInterceptors as being able to provide lots of useful functionality. In this post I’ll expand on the DbInterceptor and show a few optimizations / manipulations that I like to perform on EF’s generated queries. Using Stored Procedures in the latest version of Entity Framework is pretty doable. You lose a lot in terms of flexibility, but sometimes there are trade-offs that one must make. This week I was playing around with converting an application that used a Repository pattern with EF, Lambdas, and IQueryables to StoredProcs for all CRUD operations. Here are some interesting bits that I learned.